World Cup Scrapbook: "You guys Togo fans?" 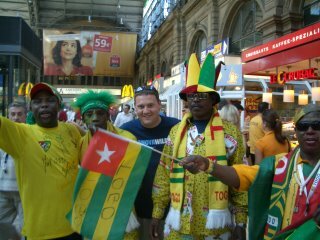 This picture, taken inside the Frankfurt train station, needs little explanation- it's Doug's first encounter with Togo fans. That's a great hat. The Togoese Rick James. 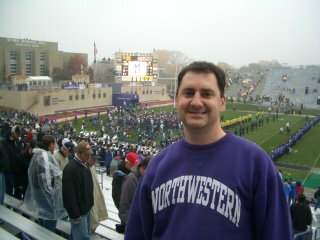 Its pictures like this one that makes you appreciate how friendly everyone was and didnt mind posing for a picture.